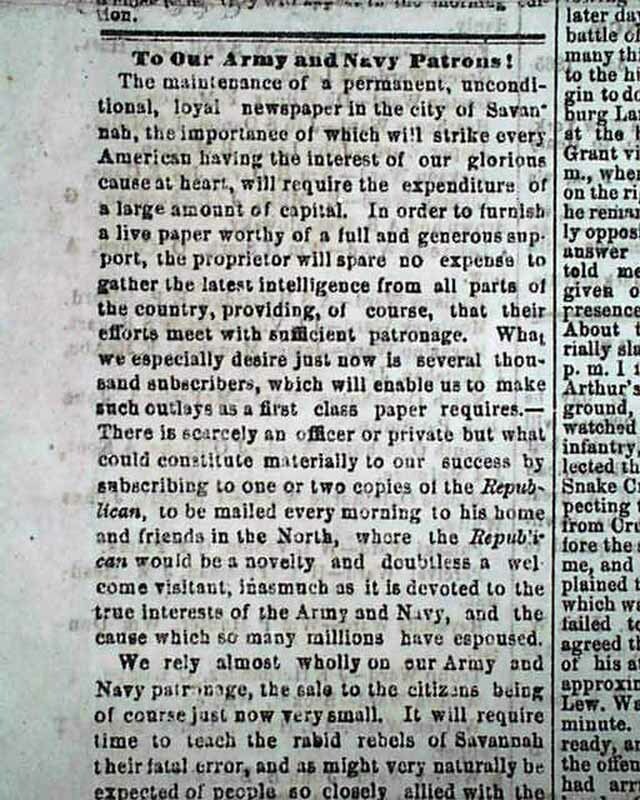 Half of the first column is taken up with a letter: "To Our Army & Navy Patrons!" 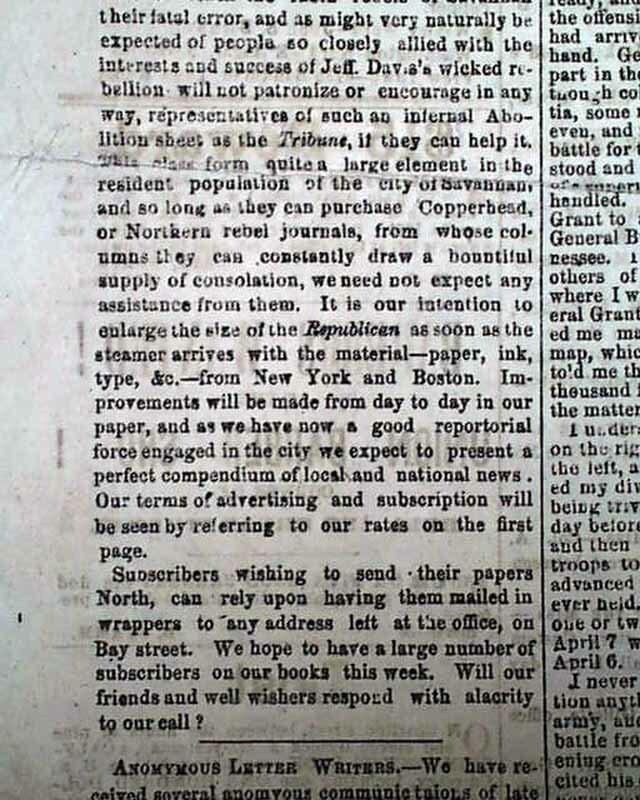 which is an appeal by the publisher to support the paper, and what it takes for the: "...maintenance of a permanent, unconditional, loyal newspaper in the city of Savannah..." (see). 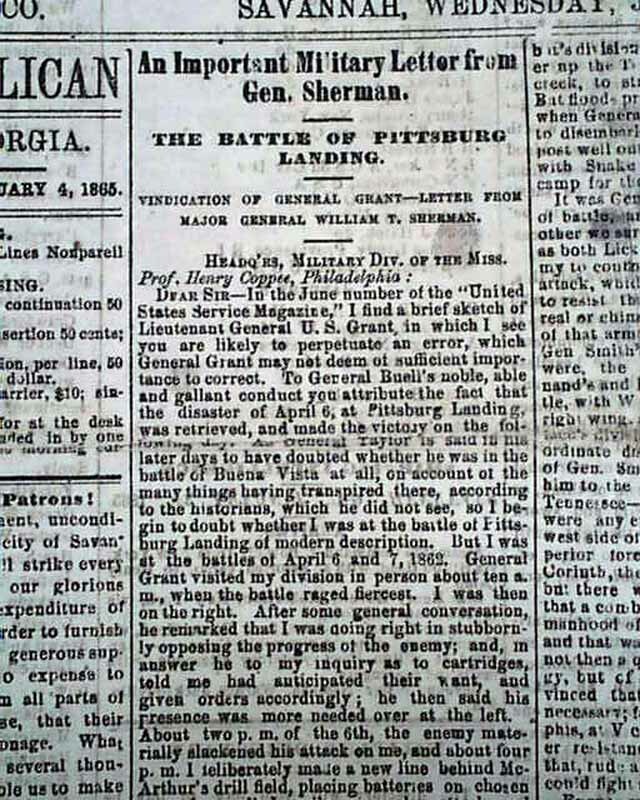 Also on the ftpg: "An Important Military Letter from Gen. Sherman" "The Battle of Pittsburgh Landing" "Vindication of General Grant--Letter from Major General William T. Sherman" which is a very lengthy letter & is signed in type: W. T. Sherman. Also: "What the War has Done" and other items. 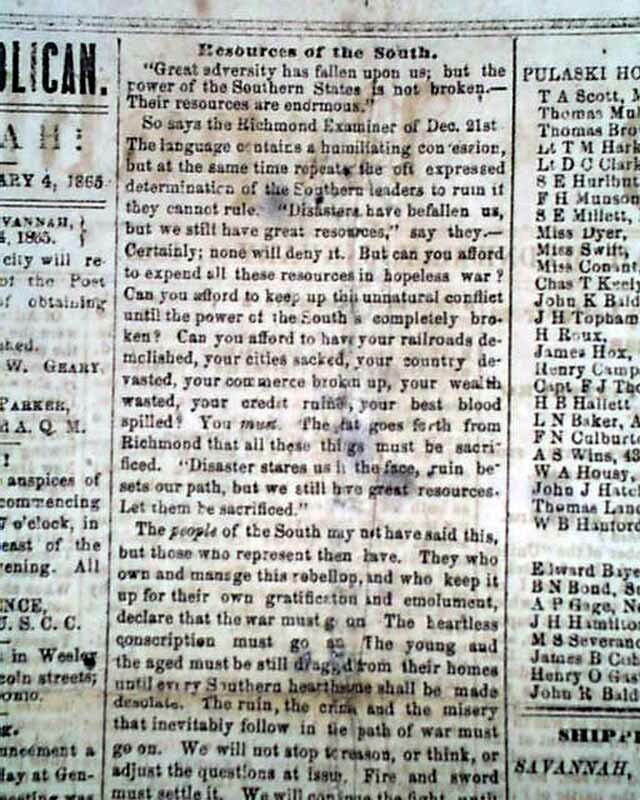 Page 2 has some war-related items while page 3 is taken up with ads & notices. 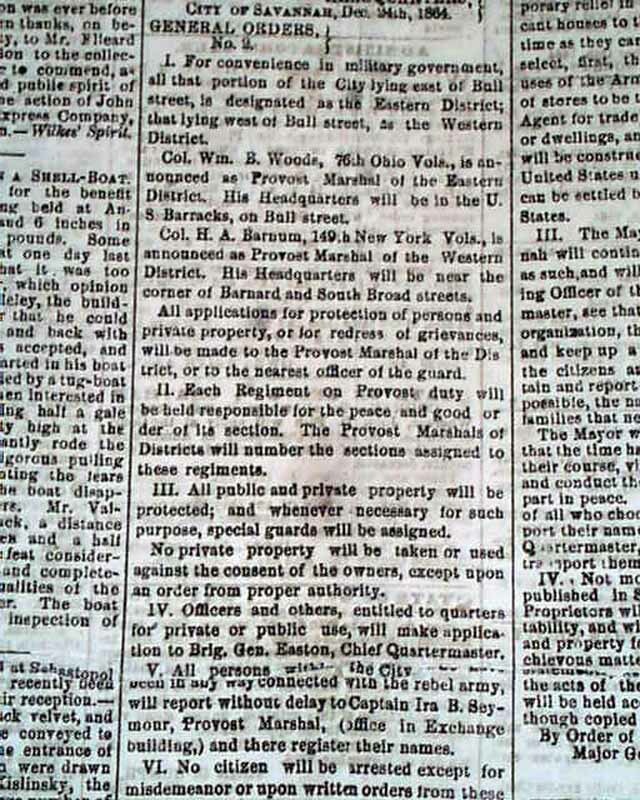 The back page has: "General Order No. 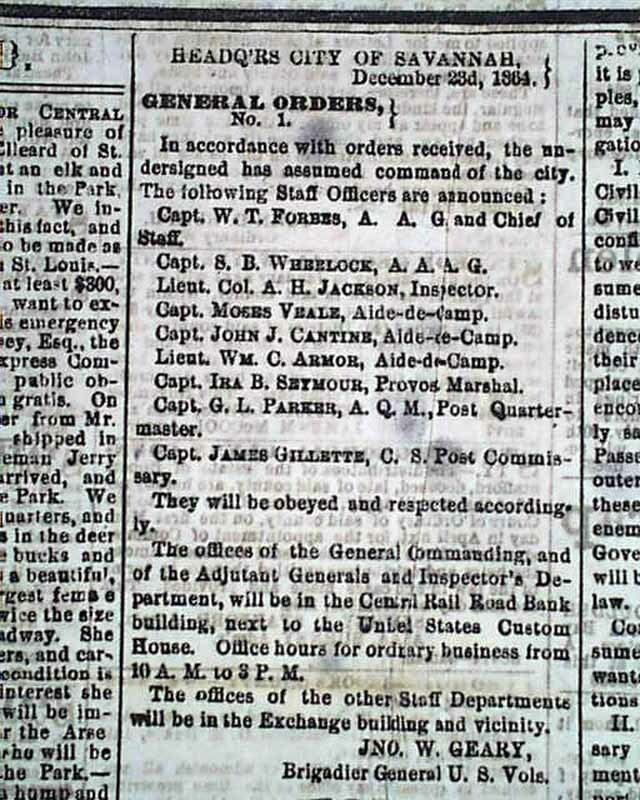 1" noting those who have assumed command of the city (see), plus "General Order No. 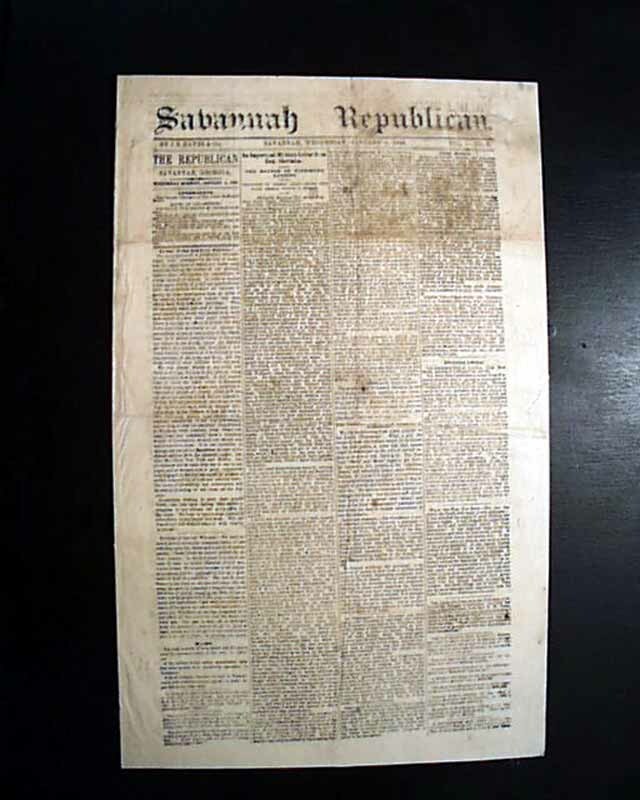 2" also concerning the military takeover of Savannah. Four pages, never bound, measures 11 by 17 1/2 inches, some minor rubbing near the folds, generally nice condition. 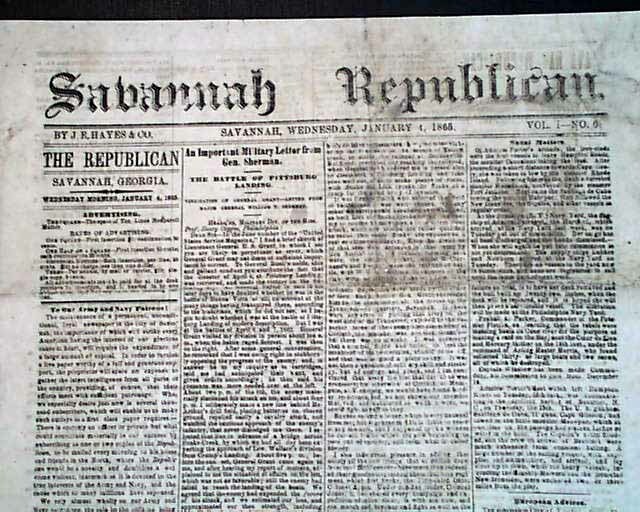 A very rare title from shortly after the capture of Savannah.